The importance of the right location when starting your own business is undeniable. Having a great store that is impossible to find will lose you numerous customers. Having a great store in an area that has high traffic may provide you with more customers, but is almost certainly likely to cost you more in the long run. When it comes to deciding on a location for your business, there are a variety of factors that you must take into account. Once you’ve cemented the idea in your mind that you’re going to open a collectibles business, you need to start thinking about the location for your shop premises. This can be the deciding factor in many things; how much it costs to open, the kind of traffic you’ll attract, the rates you’ll pay and many other things. Part of being a retailer is knowing your target market and so placing yourself in the best position possible to find them is crucial to your success. Start looking around your local area and investigate the types of shops that are there. Most likely, as a collectibles store, you’re unlikely to want to be in an area full of clothing shops or shoe shops. As odd as it may seem, being within a certain vicinity of shops of a similar ilk is sometimes a good thing. This doesn’t mean that if there’s a collectibles or memorabilia shop in your town you should open up next to it. In this case, of course it’s better to cover an other area of town, but if you’re a movie or music memorabilia shop, perhaps opening up near local record stores, DVD stores or Universities is a good idea. You’ll find that you’ll attract a lot of passers-by this way who are already interested in your type of merchandise and these can be valuable customers. Window shoppers can be a great source of income, especially if you have a great window display, so finding a location that has good visibility is key. Having a great location is an advantage to sales, but the costs of being in a popular area can sometimes be far too great a burden on your business premises. Although it would be ideal to open your retail premises in the main shopping area of your town, these can generally be reserved for large chain stores who can afford the rent and rates that come with them. As a small business owner starting out in the collectibles market, your business location should reflect the costs that you can afford. Remember, you can always move up to a bigger premises if you need to and find that you’re outgrowing your current location. The advantage of having a smaller premises to start is that all your business overheads will be reduced. You’ll have lower utility bills, rent, rates and more so it’ll be easy to get a foothold in the market. Look for areas that are just off the main shopping precinct, or perhaps in smaller shopping locations dotted around town. The great thing about the collectibles market is that it’s not generally an everyday type of store, so people will seek it out when they need it. Often when you find a good location you want to promote it and in many ways, the location you’ve found can influence this. Some local councils and authorities offer grants, advertising and promotions to small businesses who start up in certain areas, so speak to your local trading standards or economic development division. They may be able to influence your choice of location initially, or help you promote it once you’ve found it. Some offer reduced rates or rent for a certain period to try to encourage small businesses to move in. Others will happily advertise for you in the local paper, so again, network and speak to people about this right at the beginning. 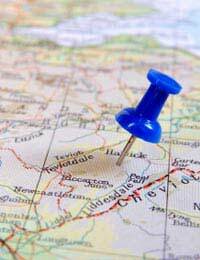 Getting hold of the right location can be the start that your business needs to grow. Consider the size of business premises you’ll need and don’t aim too high straight away. Be conservative and take out a yearly rent, so you’re not stuck there if you start to grow from the offset. Promote your new location as early as possible and make your window display part of the appeal of your shop. Researching your local area can save you a lot of trouble in the long-term, so spend time doing it before signing any contracts.